England are 3-1 with bet365 to win all their Euro 2020 qualifying games - and just 1-3 to go through the campaign unbeaten - after their barnstorming pair of opening victories. Only France, the 7-2 tournament favourites, are rated more likely winners of Euro 2020 than England, whose odds have shrunk from 8-1 to 11-2 since last Thursday. 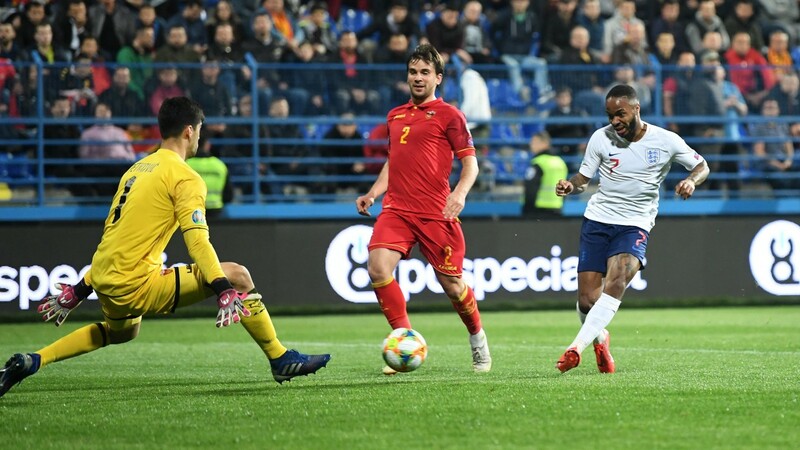 The Three Lions started off with a 5-0 destruction of the Czech Republic at Wembley but answered more questions with Monday's 5-1 defeat of Montenegro in far more difficult circumstances. Raheem Sterling put in another excellent performance and is emerging as serious contender for the PFA Player of the Year award, shortening from 9-1 to 3-1 with Paddy Power. Sterling is 1-5 with Paddy Power to win the PFA Young Player of the Year award and is 20-1 from 33-1 to be named 2019 Sports Personality of the Year. England looked far too slick for Montenegro and it is becoming difficult to see where they are going to drop points. England's goalscoring exploits did plenty of damage to spreads firm Sporting Index, who estimate the the two qualifiers have cost them £100,000. A lot of the damage was caused by Sterling, who scored four goals over the two games. Sporting's head of trading Neville Burdock said: "The emphatic unfortunately hit us for £100,000, with Raheem Sterling goal minutes in isolation costing us more than £20,000." France maintained their 100 per cent start to qualifying by defeating Iceland 4-0 in Paris. Les Bleus are 1-9 to win Group H but there it is getting tight in Group B after Portugal drew 1-1 at home to Serbia. Portugal have just two points from their first two games and have eased from 14-1 to 20-1 outright.